Integration of the ram-scramjet into the airbreathing rocket system realizes the gains Rudakov reported in Figure 4.12 and reduces the gross weight by more than half. We are now approaching the weight of a vehicle that can safely abort on launch. With a weight ratio of 4 or less, the potential for horizontal takeoff becomes a real possibility, and a true, safe abort-on-launch capability could be reality. (4) Ejector ram-scramjet-rocket operational area overlaps the airbreathing rocket and airbreathing rocket-ram/scramjet operational areas, so the complete spectrum for the ejector ram-scramjet-rocket is given below. At the higher weight ratios, the ejector ram-scramjet overlaps the airbreathing rockets. The advantage of the latter is that it can be developed from existing hardware and does not require the development of a new engine, the scramjet, for operational application. So there is a clear advantage for the application of airbreathing rockets to launcher before the application of scramjets. The lower weight ratios overlap the airbreathing rockets integrated with the ejector ram-scramjet engine. Again, the initial operating capability offered with the airbreathing rocket is built onto, rather than being replaced by, a new system. Building on the air-breathing rocket offers the advantages of expanding the capability of a proven operational system rather than introducing a new vehicle, an important advantage for this propulsion system. If the scramjet were a developed propulsion system, beginning with the airbreathing rocket might not be the path of choice. However, attempts to take this path began in the late 1950s and have yet to yield even a small-scale operational weight engine. Recent developments are encouraging (Aviation Week, July 2003). But as of today there is neither an operational size scramjet nor research and development size scramjet that has the necessary maturity to apply them to an operational vehicle. Considering all of the scramjet programs canceled, perhaps there should have been an operational scramjet engine, but that is history, not an operational engine. With rocket ejectors, the ejector ram-scramjet has low-speed thrust and does not require an additional propulsion system for takeoff and low-speed acceleration. 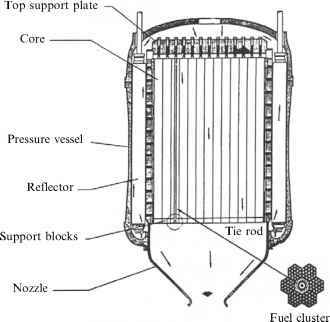 If propellant remains after entry, the engine can provide landing and go-around thrust.